The weather outside is frightful, but we’re about to start planning our spring concert season! Love singing? Come warm yourself up by singing with us every Tuesday evening starting January 24th! We are a non-audition community choir that sings a wide variety of classic and contemporary choral music. We welcome people of all experience levels! You’re welcome to attend our first two rehearsals to sit in and listen or sing along, and see if you think our music is in tune with yours! 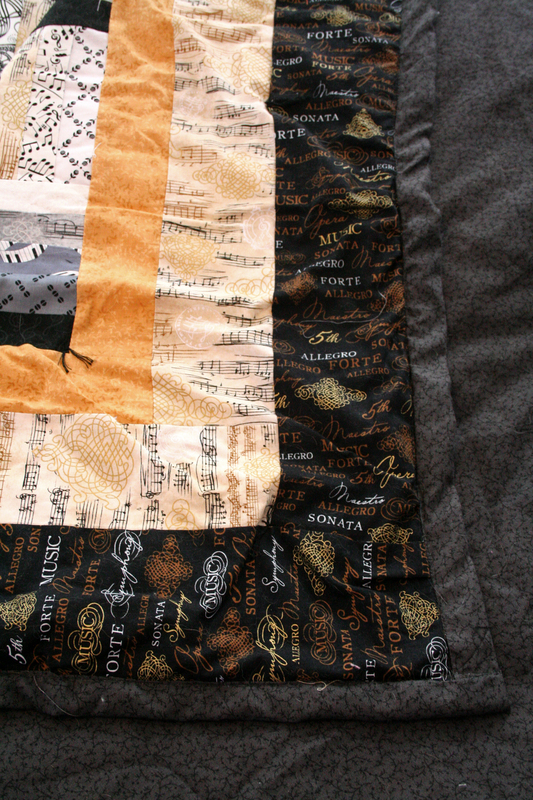 Handmade Music Themed Quilt for Raffle! Don’t miss out! 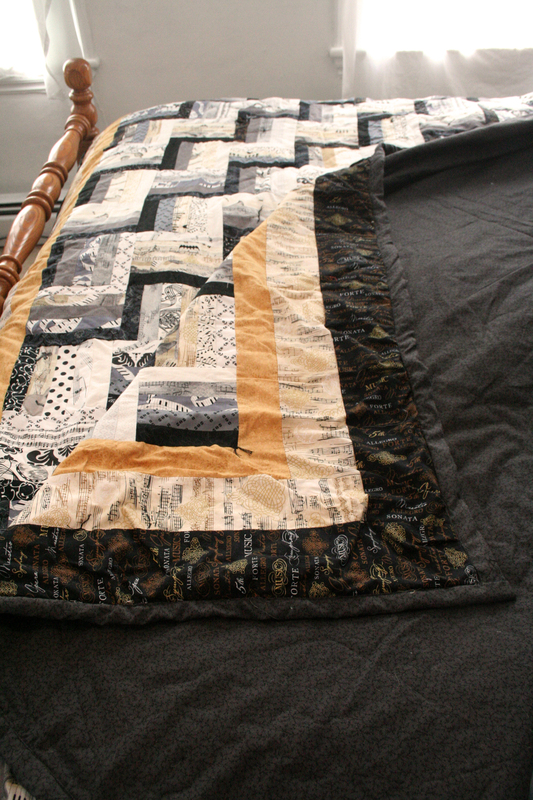 We’re raffling off this incredible music themed quilt hand made by our very own Nancy Averill! 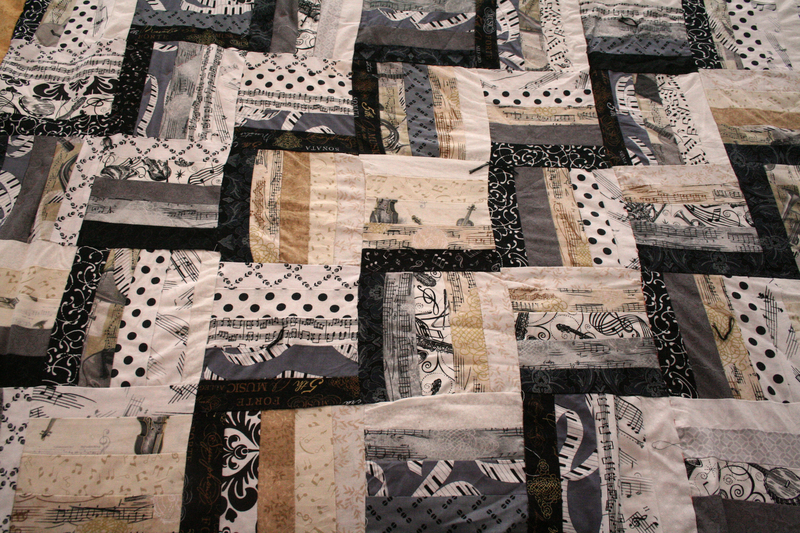 This quilt is huge! Perfect for a queen size bed, but fits a king size pretty well, too. Raffle tickets are $5 each or three for $10, and will be on sale at our Bucksport and Brewer concerts, or you can contact us through our Facebook page or email nrsingers@gmail.com to make arrangements to purchase them! The drawing will be held after our Brewer concert on December 16th! Join Us For Our 25th Anniversary! In 1990 a new choral group was started by a music studio in downtown Bangor operated by Darrell and Nina Rhodes. In 1991 the group decided to become incorporated as an independent, non-profit, and moved into its own rehearsal space. The group’s first artistic director was Bronwyn Kortge. Bronwyn loved early music and the group enthusiastically embraced her suggestion, New Renaissance Singers, for their name. From the beginning, NRS was open to all with no auditions. The first concert they gave in the spring of 1991 was held at John Bapst High School, with the two dozen chorus members sporting pastel colored cummerbunds for the women and bow ties for the men. For the next few years, NRS rehearsed in a space on the third floor of the building now housing Giacomo’s in the heart of downtown Bangor. Subsequent rehearsal homes included the First Methodist Church in Bangor, the Catholic Church of Brewer, Columbia Street Baptist Church, and the First Congregational Church of Brewer, our current home. Since those early years, NRS has performed in a wide variety of venues including area churches, assisted living facilities, the Bangor Library, the Cyrus Pavilion Theater in Orono, on a Fourth of July parade float, and even in a rock concert with Foreigner in Rockport. For the last few years NRS has also provided choral music for the Hospice Memorial Service. Nancy Averill, a current member who has been part of the NRS for all twenty-five years recalls that the group sang a lot of early music in the beginning, practiced year-round, and gave four concerts a year! A founding member, Roxanne Munksgaard, fondly recalls an early concert featuring madrigals performed in Renaissance costumes at the Cyrus Pavilion. Since then the range of music sung by NRS has been eclectic: an early Halloween Concert included a song written by Bronwyn called “Macbeth’s Witches” with lyrics by Shakespeare; a few years later the group performed Faure’s Requiem under the direction of Ann Mills. Today Molly Webster continues to select music from the whole spectrum of choral singing from early music (16th and 17th centuries) to contemporary compositions. The twenty-fifth anniversary concert includes an early madrigal, music from the 18th and 19th centuries by Mozart, Brahms, and Beethoven, and three contemporary pieces. Two of the newer pieces are exquisite choral settings by young composers of poems by Edna St. Vincent Millay, and Emily Dickinson. The third new piece is a setting of a poem “Everyone Sang” by Siegfried Sassoon and was composed by Andrew Hirst especially for the NRS 25th anniversary. Since 2006 NRS has been accompanied faithfully and joyfully by Dora Rexrode, making this year her tenth anniversary! With each new member who joins us in song, our lives are enriched. Marie Harrington, the second person who has been with the chorus for all twenty-five years and has served on our Board, says the best part of singing with NRS has been all the wonderful people she has known through the years. We are always welcoming of new voices, so if you like to sing and are willing to make the commitment to weekly rehearsals, please join us and become part of the next 25 years of NRS history. Join us and be a part of our year-long celebration of 25 years of making music together! For our spring concert season, we are bringing you a beautiful mix of songs of hope and joy, with music ranging from contemporary to folk and classical. Included in the spring repertoire are pieces from Beethoven, Brahm and Mozart, mixed in with a little Pete Seeger and U2, and a collection of pieces based on the works of poets like Edna St. Vincent Millay and Emily Dickinson. We are exceptionally excited to unveil a song specially commissioned to celebrate our silver anniversary. This contemporary choral piece was created for us by UMaine alumnus Andrew Hirst. “Everyone Sang” is based on the poem by Siegfried Sassoon, written at the end of World War I.